Lifted from the JDM Ego Blog. AKA Dropjay. Head on over there and say "what up" to Jay. 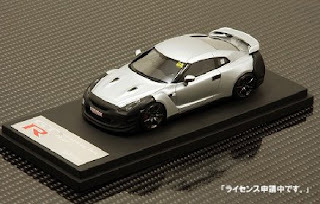 This car was shown on the HPI Diecast Blog. 2009 Corvette ZR1 505 rwhp. Infiniti Four Door GT-R ? Nissan Says "We Didn't Cheat"